RICHARD M. YETWIN is Of Counsel to DeConcini McDonald Yetwin and Lacy and has been an attorney since 1972. Although in the past he has been actively involved in litigation, his current practice covers a broad range of civil matters with emphasis in corporate and real estate transactional work, and limited school law issues. Mr. Yetwin provides mediation and arbitration services related to real estate and corporate disputes. He has a Bachelor of Science Degree in Chemistry/Biology from Tufts University and received his Juris Doctorate Degree from Boston University in 1971 where he served as an editor of the Law Review. He has handled complex real estate and financing transactions including leasing and the buying, selling and financing of hotels and resorts, motels, condominiums, apartments, office and industrial buildings shopping centers, acreage and school sites. During the 1970s, Mr. Yetwin participated in the resolution of numerous school law matters, including desegregation and civil rights litigation. 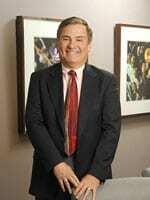 He was one of the first attorneys in the state to participate in due process hearings concerning children with disabilities and has handled litigation concerning disabled children in both the courts of the State of Arizona and the Federal Courts. He has served as the President and a Member of the Board for the Beacon Foundation for the Mentally Retarded, and of Catalina Foothills Estates No. 10. He served on the Board of United Way and as a Vice President and on the Board of the Jewish Community Center in Tucson. He was an adjunct professor of law at the University of Arizona College of Law from 1994 to 2013, teaching real estate transactions, and is currently a lecturer teaching Real Estate Law and Development Regulation at U.C. San Diego. He is admitted to practice in Arizona, Massachusetts, the District of Columbia and before the United States Supreme Court, the United States Court of Appeals for the 9th Circuit and the United States District Court for Arizona. Past President and Board member, Catalina Foothills Estates No. 10. Presentation before the Select Committee on Indian Affairs, United States Senate, June, 1985, relating to federal standards and regulation of the conduct of gaming activities within Indian country, and before the House Subcommittee on Indian Affairs, relating to the same legislation.